‘A Family Tour’ is an autobiographical film. A lamenting outcry for injustice. It’s a subtle but bold political statement against the authority stifling the freedom of expression. ‘A Family Tour’ is a lamenting outcry for injustice. It’s a subtle but a bold political statement against the authority stifling the freedom of expression. A reporter asks Yang Shu (Gong Zhe) whether she is a HongKonger or a Chinese. To which, without a slight hesitation or twitch in the eyes, she says, “I’m a stranger.” It’s a powerful and heartbreaking statement. It’s a price she pays for her artistic expression. In a country with no civil rights, a totalitarian government at the helm, a wrong choice can cost you your career and personal life. Repercussions of her personal choices within the artistic boundary have caused an irreparable emotional damage and sense of displacement, alienation and isolation. Yang Shu reveals to her mother Chen (Nai Na) that her life has been chaotic for the past five years. She renews her temporary visa every year in HongKong. She has been doing secondary jobs. Her artistic freedom is threatened. Her movement is under constant scrutiny by a local authority of China. She has been forced into exile, away from her native, away from her mother. The Chinese-born, Hong Kong-based director Ying Liang returns to film-making with ‘A Family Tour’ after his last feature ‘When Night Falls’ which created a political and social stir in China. It is his first feature film to screen at the New York Film Festival (NYFF-56). The film reflects Ying’s agony and internal raging grief. He conjures up his rage and frustration evoked by a sense of displacement, develops into an emotional catharsis and embodies it in this film, in the character of film-maker Yang Shu. Ying examines the lack of a sense of belonging and identical crisis in this moving and poignant tale of a family. ‘A Family Tour’ opens with Yang reading an intimate and heartfelt poem from her diary. We meet Yang’s husband, Ka-Ming (Pete Teo), a kind Hong Konger in his mid-forties who is an artist himself. He is arranging for the visas to Taiwan to attend the Formosa Film Festival. The festival gives an opportunity for Yang to connect with her mother, Chen Xiaolin (Nai An), living in Sichuan. The festival is showcasing the film ‘The Mother of one Recluse’ that caused uproar back in China, like Ying’s 2012 film, ‘When Night Falls’. Ying never takes his audience for granted. He never spoonfeeds the information, rather he organically and gently let the story unfold. He let the characters drive the plot, instead of explicitly carving the path for us to understand them. It is difficult initially to comprehend from where the characters are coming, follow their strange dynamics, but Yang smartly divulges necessary information in bits and pieces, like puzzle blocks. Ying smartly creates the sense of claustrophobia as Yang and Chen meet under strict guidelines, they could only meet during breaks and booking counters. Chances are high that Chen is spied. The threat of Chinese authority is omnipresent, given that three investors of next Yang’s film are missing. They are constantly reminded of all the arrangements by a tour guide. Ying uses minimal expositions and gestures. Instead, he works along with cinematographer Ryuji Otsuka to create the contrast between bright shimmering Taiwan city breathing the sense of freedom and the external turmoil the family faces to be together. It is devastating to see the family lies about Chen being a family friend to a curious tourist. The pain feels sharper in the city that looks so beautiful for a family reunion. Chen has never met her grandson. Ka-Ming apologies to Chen for never taking his grandson to meet Chen in China. He was concerned that the Chinese authority might ill-treat him if caught. 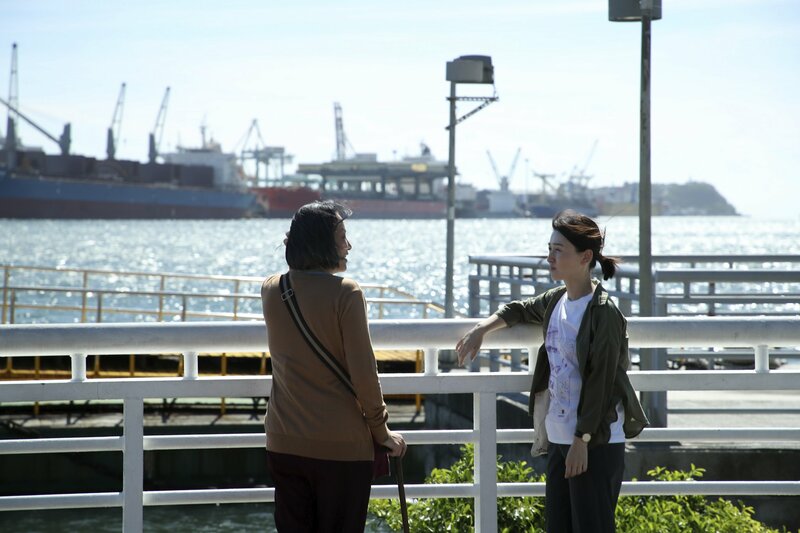 Chen tries to tie all the loose ends before she finally says goodbye. She indirectly declares that Chinese love consists in renouncing family ties, for the protection of those one loves. It would be interesting to see where these characters go from where the ‘A Family Tour’ ended. Yang’s journey of a sense of belonging is a way long, but where does it end? Does it precede the togetherness of family? Ying ends the film on a satisfactory note. But as you ponder over the fate of the characters, you are left with more questions. Perhaps, his struggle to find the completeness is still incomplete that reflects in the film. Producers: Jeremy Chua, C. Melanopterus, Tseng Wen Chen, Lee Shuping. Executive producer: Yu Pei Hua. Co-producers: Wang Wei, Winnie Tsang, Tan Chui Mui, Debbie Wee, Jordane Oudin, Jeremiah Oh. CREW: Director: Ying Liang. Screenplay: Chan Wai, 3 3, Ying Liang. Camera (color): Ryuji Otsuka. Editor: Liu Xue Xing. Music: Fang.